After receiving a DMCA-compliant counter-notification, Our Designated Copyright Agent will forward it and HGI will then provide the counter-notification to the claimant who first sent the original Notice identifying the allegedly infringing content. It is the policy of Harrington Group International, LLC. 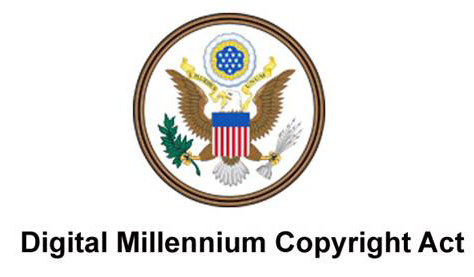 (“HGI”) to comply with provisions of the Digital Millennium Copyright Act which afford HGI safe harbor for liability related to the alleged copyright infringement of its customers and third party users of its services. HGI, through its Designated Agent, maintains a log of DMCA Notices received from copyright holders (the “DMCA Log”). Through its DMCA Log and other data, engages in a good faith effort to identify customers or account holders who may be engaging in repeated copyright infringement. 1. Any user that engages in “repeat infringement” shall be subject to having any and all accounts known to belong to the repeat infringer terminated, in accordance with this policy. 2. “Repeat infringement” shall be defined as more than three (3) Final Infringement Notifications from any source, within a single year. 3. “Final Infringement Notification” shall be defined as a valid, compliant DMCA Notice received by HGI’s Designated Agent and which results in the removal or disabling of the identified infringing material (or any part of it), or which results in a Final Judgment of copyright infringement against the user responsible for the content at issue after a counter-notification and subsequent lawsuit. DMCA Notifications that result in a counter-notification but no subsequent judgment of infringement shall not constitute a “Final Infringement Notification” for purposes of this Policy. 4. A “valid, compliant DMCA Notice” shall be defined as a notification sent to HGI’s Designated Agent which substantially complies with the elements set forth in 17 U.S.C. § 512(c)(3). 5. Termination of a user’s account under this policy shall be subject to an informal appeal process, whereby the user shall be entitled to show good cause why the account should not be terminated. In the event HGI is satisfied, in its discretion, that good cause is shown, it may choose not to terminate the user’s account, but shall be within its rights to do so in accordance with this Policy and the associated terms of service. Uniform standards and criteria will be utilized in resolving any informal appeal. 6. Notwithstanding the above, if HGI receives more than six (6) Final Infringement Notices from a single copyright holder within a single year, termination of the user’s account shall not be subject to the informal appeal procedure, and shall ordinarily be canceled without further notice. 7. This Policy is subject to revision or amendment at any time in the discretion of HGI or based on changes in the law or other circumstances impacting this Policy.